Laminitis is a word no horse owner wants to hear associated with her horse. It is a crippling disorder that takes weeks or even months for the horse to recover from, and that is if all causative factors are removed and the best equine husbandry is provided. It can be permanently debilitating if not dealt with properly and promptly, leading to much pain and suffering for the horse. 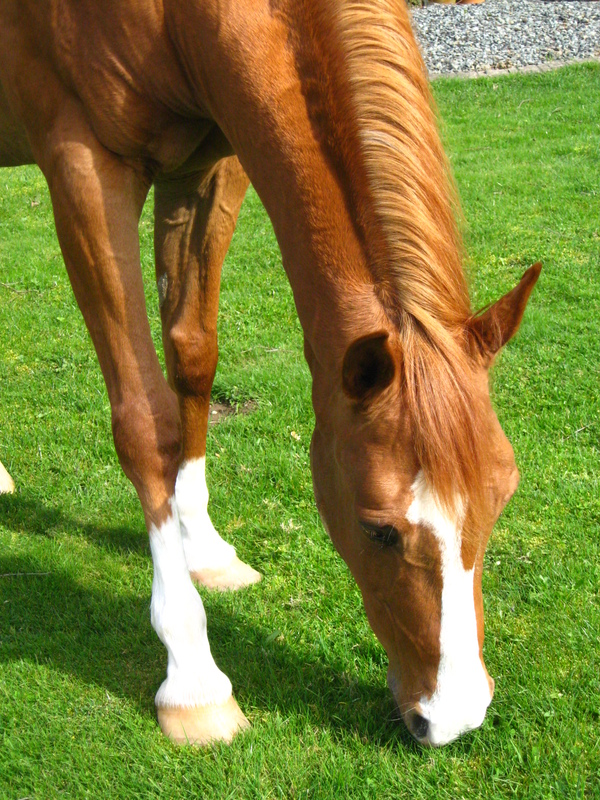 The term laminitis is often used interchangeably with founder, but technically the two are different, though related, phenomenon. Laminitis is inflammation of the laminae in the hoof. The laminae are the velcro-like connections that attach the coffin bone to the inner hoof wall, holding the foot together; because the laminae are trapped between a rock (the coffin bone) and a hard place (the inner hoof wall and sole), any inflammation is painful for the horse. Chronic inflammation over time, or a catastrophic laminitis episode, will lead to degeneration of the blood vessels that feed the laminae and necrosis of the laminae themselves.